Marilyn Pulliam Obituary - SHINNSTON, West Virginia | Harmer Funeral Home, Inc.
Marilyn Sue Pulliam, 72, of Shinnston passed away on January 20, 2019 at United Hospital Center was born on October 1, 1946 to the late Jennings and Beulah (Ashcraft) Lane at Wyatt, WV. 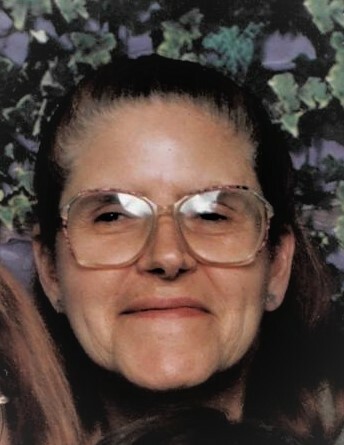 Sue is survived by her husband Gary whom she married December 15th, 1973 and her children Susan Pulliam of Clarksburg and Gary A. Pulliam of Shinnston. Grandchildren are Olivia Pulliam of Clarksburg, Braxton Pulliam of Shinnston; great grandson Remington Talbert of Clarksburg; brothers Harold Ray Lane of Belmont Ohio, Marion Lane and wife Brenda of Shinnston; Sisters Dorothy (Lane) Rota and husband James of Shinnston, Sharon (Lane) Stewart and husband Larry of Shinnston; sister-in-law Mary Lane of South Charleston; many loving nieces and nephews. In addition to her parents Sue was preceded in death by her Brothers; Dale, Marvin, Ralph and Howard; Sister Emma Ruth. Sue was a member of the Rebekah Lodge #47 since April 30, 1968 – Past Noble Grand. Friends will be received at the Harmer Funeral Home, 300 Pike St., Shinnston on Wednesday, January 23, 2019 from 2:00 PM to 8:00 PM, a funeral service with The Rebekah Lodge #47 at 7:00 PM and a funeral service at 7:30 PM with Pastor George Heitman officiating. To send flowers to the family of Marilyn Susan Pulliam, please visit our Heartfelt Sympathies Store.